‘As a general rule, each person is at liberty to construct his dream-world according to his individual peculiarities and so to make it unintelligible to other people’ (Freud, 1900, p.241). 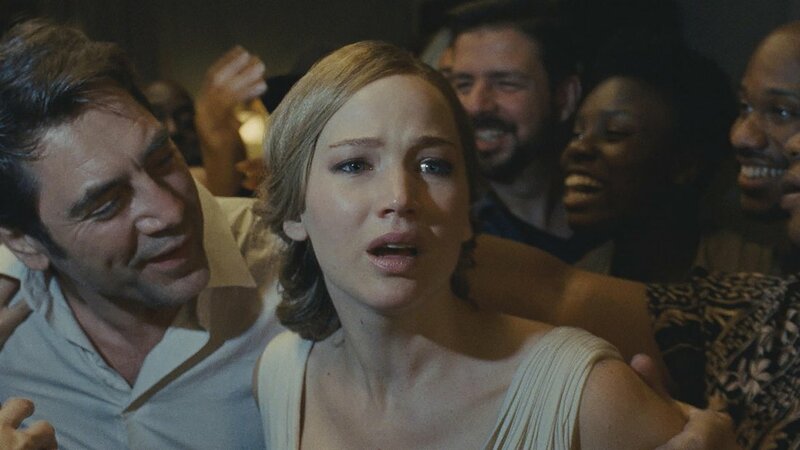 Freud’s above statement on the nature of dreaming clearly applies to Darren Aronofsky and his most recent cinematic creation: psychological horror mother! (2017). One of cinema’s most visionary auteurs wrote the first draft of the story in a malignant rush in his isolated house in New York, and the final result of his invention is a vivid fever dream, a cinematic nightmare. mother! leaves viewers confused, disturbed and broken. It is unsettling and uneasy; a multilayered film that requires time to process and genuine effort of the viewer to try to get into the mad creator’s mind in order to resolve the riddle of its true meaning. However, if we follow Freud’s reflections in The Interpretations of Dreams (1900, p. 241). we discover that there are a ‘certain number of dreams which almost everyone has dreamt alike and which we are accustomed to assume must have the same meaning for everyone’. That implies that there are certain dreams that we, as a western capitalistic and patriarchal society, share. Consequently, there are certain anxieties, desires and ‘repressed demons’ that we experience simultaneously. Aronofsky’s mother! is undoubtedly one of them as an environmental warning, the Mother Earth’s shout for help shot from Her point of view, from Her perspective. The power of the film lies in the way in which the spectator feels the pain of the Earth while experiencing guilt for being the one who causes it. mother! is a potent parable that shuns banal didacticism by humanising the Earth, assembling Her with a human’s psyche and ability to verbalise emotions and feelings. The ecological aspect of mother! is only one of the many layers and readings of Aronofsky’s film. As the working title of the film Six Days reveals, it is the vision of God’s creation of the world, Aronofsky’s subjective interpretation of the biblical Book of Genesis. The apocalyptic vision that was planted in the director’s psyche makes him a ‘supraordinate creative personality’ (Beebe, 2001, p. 208) which consequently links him to the product of his creation - Javier Bardem’s Him. The link to Polanski’s Rosemary’s Baby is only ostensible as mother! at this point takes a turn into world of allegories, symbols and archetypes where the known rules of logic and time don’t exist. The new couple bring chaos and turmoil into the previously peaceful life Him and Her lead before their arrival. Ultimately they break the precious crystal, the Poet’s magical amulet that in the past helped him to recover from trauma. The allegory to the creation of Adam and Eve who disrespect their creator by eating forbidden fruit is very vivid. Now the gates to Paradise are shut. Mother wants to protect her husband and their house, hence she tries to convince him to throw the careless and insensible couple out. The Poet, however, as Christian God is merciful and loving. He lets them stay as he feels irresistible affection to the faulty products of his creation. Moreover, despite mother’s objections, he is there for them when their son is killed in a fratricidal fight echoing the biblical struggle of Cain and Abel. One may argue that by setting the realm of his film in the biblical and therefore aggressively patriarchal canvas, Aronofsky reinforces gender inequality and the conservative concept of gender roles. It is a legitimate allegation, especially if we add to it the romance that was born during the shoot between the director and Jennifer Lawrence and recent scandals in which many prominent Hollywood men were accused of sexual abuse and assaults. As a result, mother! is an undeniably patriarchal film, that we watch from the perspective of the oppressed female, which highlights her struggle. The Poet as an emotionally abusive, forever unfulfilled energetic vampire stands as an accurate metaphor for the oppressive patriarchal system still dominant in the 21st Century. The film opens with a shot of woman standing in flames. While she burns, we can see a tear fall down her cheek. Is that the mythical Gaia? The mighty entity, born from Chaos, from which all the others emerged? The close-up of her endlessly sad eyes is cut to Him, Javier Bardem, holding a magnificent crystal. While he places it at the desk, the devastated house is brought back to life. In the Greek myth it is Gaia who, from loneliness, creates Uranus, her spouse but as he becomes atrociously cruel, she convinces her children to kill him. Nonetheless, in mother! Aronofsky chooses the comfortable patriarchal order of the Bible and centres the male Him as the dominant creator. It is His vision, the story He wrote that is being projected on the screen. The twist is that we watch it from the perspective of Her, Jennifer Lawrence’s character. The output of the Poet’s work, the Jungian anima, brings us to the the notion of the archetypal Great Mother, a primordial image of the human psyche. According to Neumann, the Great Mother ‘is good-bad and makes possible a union of positive and negative attributes. ‘ (p.99). Her, Jennifer Lawrence, stands as a perfect manifestation of this archetype, so deeply rooted in social subconscious. The Great Mother is the universal image that a person, regardless of gender, carries in their subconscious along with the personal image of their actual mother. Consequently, Lawrence is both the nurturing, life-giving and caring Good Mother - a symbol of fertility and fruitfulness - as well as the Bad Mother: seductive, voracious, poisonous, who won’t stop from spreading her wrath in mad fury. Thereupon, the climactic act of Her anger, while she stabs members of the crowd using a phallic knife can be read as the Mother’s rebellion against patriarchy. In Freudian terms, she becomes the Monstrous Feminine: a visual representation of castration anxiety. Moreover, the impossible-to-resolve fear of being castrated manifests itself with the never-ending cycle of the Poet’s performance of creation and destruction. As the film presents Earth as a Mother, it implies people and Earth can be regarded as one inextricably connected entity. Therefore, Him and Her are the manifestation of archetypical anima and animus, Jungian feminine and masculine and aspects of human’s inner life. Thus, the intruders that invade their house with His masochistic permission may be interpreted as a devastation of the soul caused by deathly illness (with the cancer that slowly kills Ed Harris’ character standing as literal reference) - the overdue capitalistic ideology. Human consciousness, seen as Tabula Rasa - a blank page - gets deprived by egoistic desires, brainwashed by the system’s most efficient weapon: media. ‘The liturgy of the Mass contains allusions to the ‘prefigurations’ in the Old Testament, and thus indirectly to ancient sacrificial symbolism in general. It is clear, then, that in Christ’s sacrifice and the Communion one of the deepest chords in the human psyche is struck: human sacrifice and ritual anthropophagy [eating of human flesh]’. After the Messiah is dead, mother has nothing to lose, as the Great Mother can only exist in relation to her child. Subsequently her act of burning down the house with everyone and everything inside it can be read as Earth’s wrath; the ultimate apocalypse. The mother has nothing more to give as her terminal gift, since her baby was murdered and eaten by ungrateful crowd. Therefore, there is no evil in the artist’s need and desire to create, it is simply necessity. Thus, mother! shows that the only way to coexist with an artist, a real creator, is through love: the precious crystal that is resistant to the worst, unimaginable cruelty. In conclusion, mother! Is a very unique project, generically unclassifiable although one that resembles psychological horror and domestic psychodrama, and a truly post-modern film. In my humble opinion, Aronofsky’s is the most powerful film centred around environmental issues I’ve ever seen. It requires, however, time to digest and multiple viewings to truly deepen understanding of its many dimensions. Nevertheless, mother! is most of all a warning. Humankind is inevitably killing its mother. Our civilisation is committing unintended suicide by mindlessly slaughtering Her.